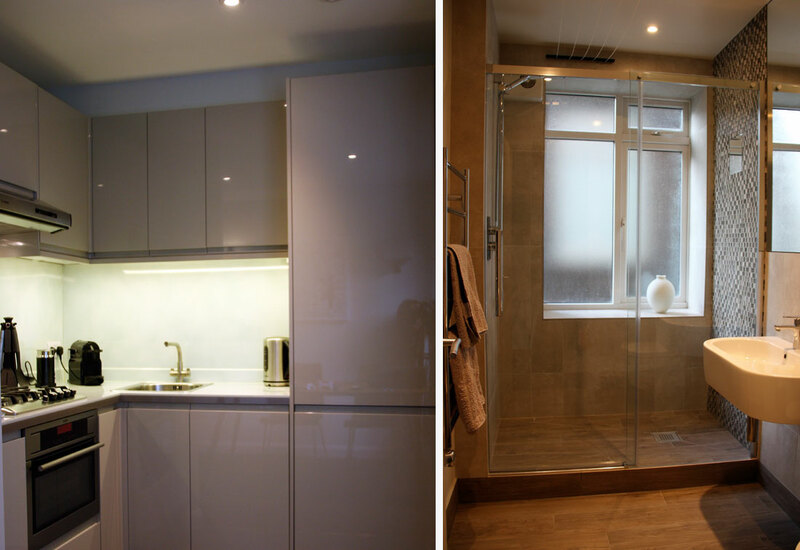 Our client’s brief was to use the small 300 square foot apartment to live/work during visits to London, also to use as Air B&B if required and that he had a very large dog that may visit on occasions. A tall order! So we set about totally renovating the run down space. The compact kitchen contains everything that was on the ‘wish list’ from washing machine to fridge freezer and also a narrow dishwasher. 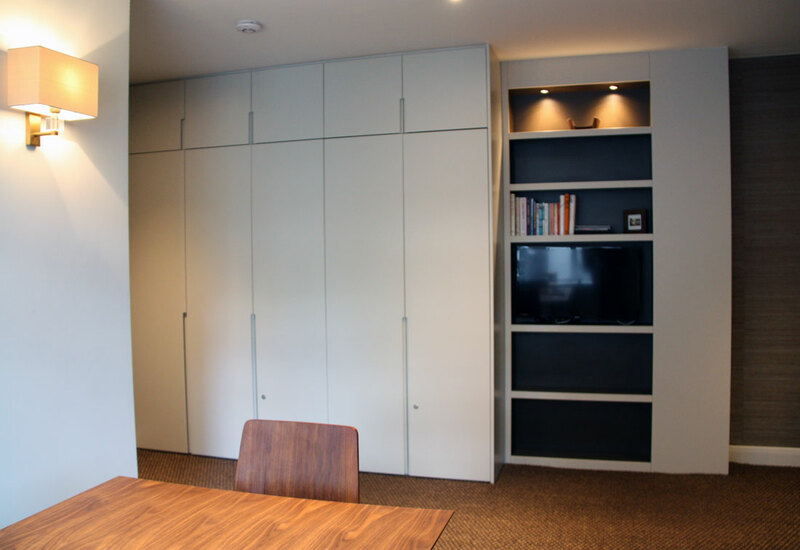 We designed and our joiner made bespoke joinery; lockable file drawers for work documents, storage for bed linen, lockable wardrobes, a bookcase and storage for suitcases and cleaning equipment. 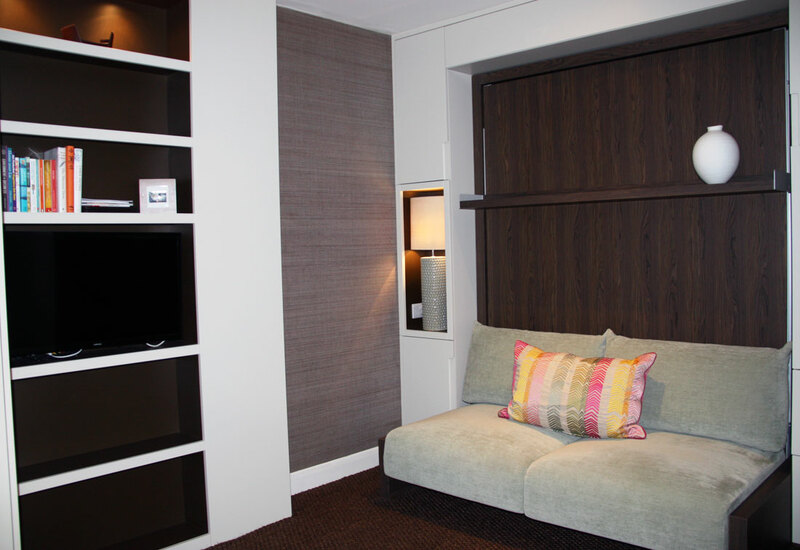 The fold down bed was purchased and integrated into the bespoke joinery. 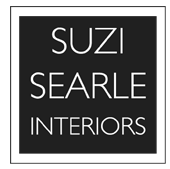 Full interior design service including project coordination, sourcing products, lighting, design schemes and furnishings.